There were some slight changes to Snow Leopard with build 10A402. 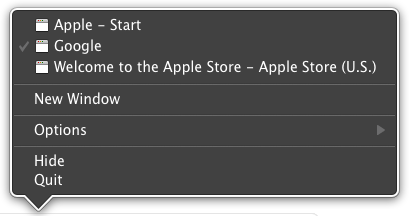 Apple has changed the theme used for menus that appear when right clicking (or ctrl+clicking) on items in the dock. The slider used in Finder windows for resizing icons is now grey instead of blue. Third party preference panes are now functional. 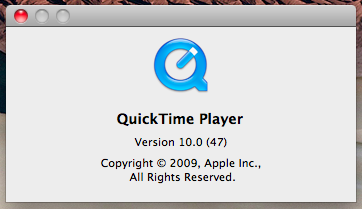 QuickTime has been upgraded to build 10.0. Last night there was another update to Snow Leopard brining it to 10A411. But, there hasn’t been any reports of notable changes with this most recent build. Update 7/15/09: There have been a couple of changes found with the latest build (10A411). Including an updated version of Safari, a changed font in the dock contextual menus, and a new navigation interface in QuickTime X.